High quality, cost effective, steel framing systems for residential and commercial building throughout New Zealand. What is Steel Framing and why should you use it? Steel framing is cost effective; it’s not affected by the weather, it’s 70% lighter than timber framing, and it can be erected by hand. Steel will not warp or twist as it does not absorb moisture, so building with steel results straight walls, square corners and flush surfaces for the life of your home. Steel Framing is 100% recyclable, resulting in less harm to our environment. It doesn’t require treating with chemical preservatives, so it’s safer for people who live or work around it, and it’s not flammable. 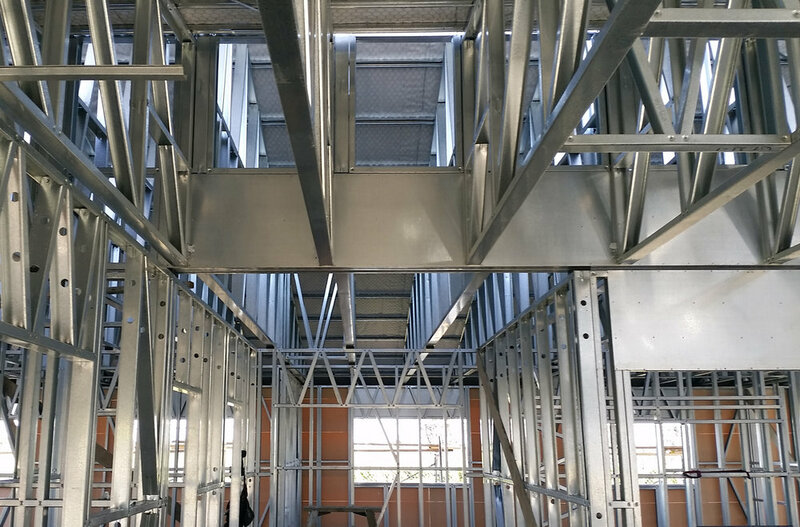 Steel framing is a great option for you. To find out more, get in touch today. By 2018 Steel-IT Framing Limited will be a highly visible company known as the best in the business in the manufacture of steel frames. We will constantly exceed our client’s expectations by producing for them a high-quality product that is reflective of the passion of our team. We will develop quality systems that support the manufacture of our sought after products. We will be regarded as the best and preferred steel frame manufacturer in the country due to our professional approach, our eye for detail and always having the client’s needs at the forefront. By exceeding the requirements of our stakeholders and the expectations of our clients we will deliver products of the highest quality. We will be regarded in industry as the market leaders in steel frame manufacturing in New Zealand bar none. If you have any enquiries please get in touch by completing the form below, or calling us on 04 902 9140.